Here it is! A mod that's taken a year to upload! 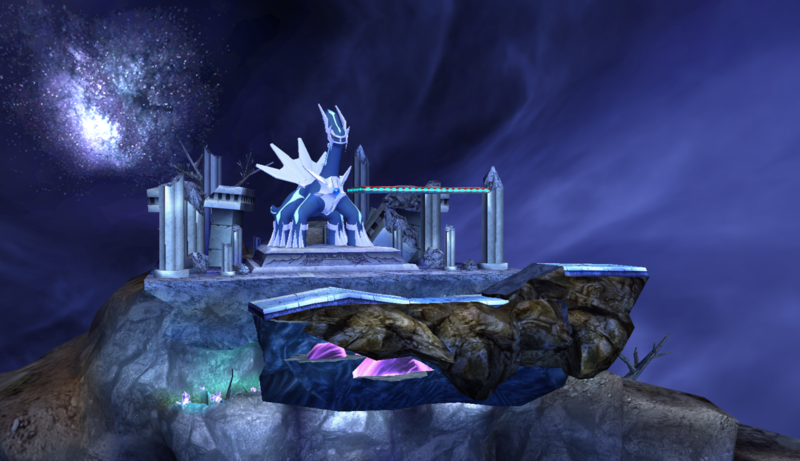 Puzzled helped me so long ago, giving this stage the lighting from the Bridge of Eldin. This mod was made over a few days last year, with edited textures from the current Lorule Castle on the Vault. I particularly love the Easter eggs which I edited. 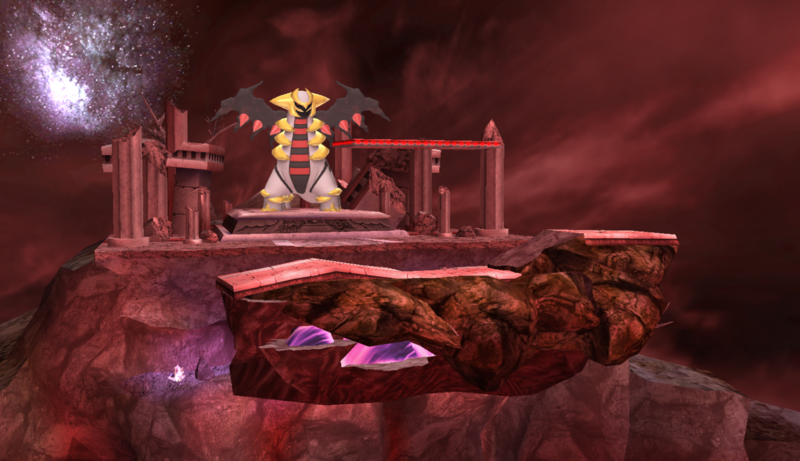 A lot of stage details I've added here are not present in Mansta8's Lorule recolor. This mod is intended to be dragged and dropped into Legacy TE. Hopefully, this adds some spice to your tournaments! God bless you all! Morpho Knight, a being of pure destruction, ditches his long trusted Nectar Sword from Project M 3.6 and dawns his finest weapon: the Butterfly Sword from Star Allies! 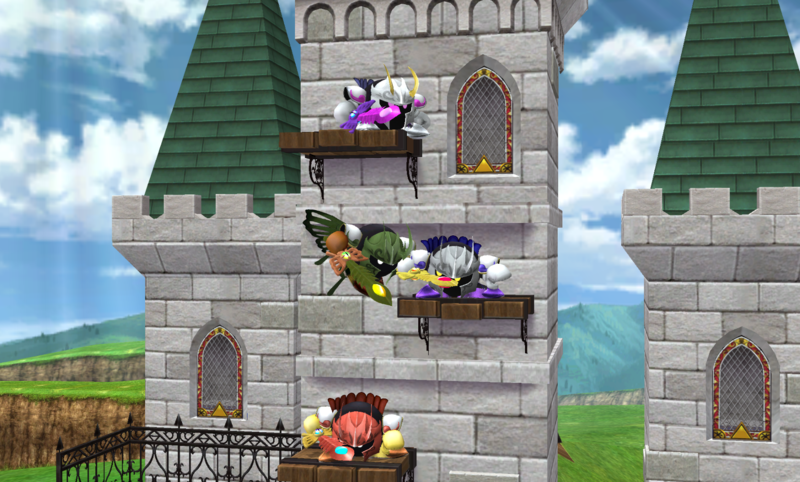 Now you can beat people with Meta Knight like never before! 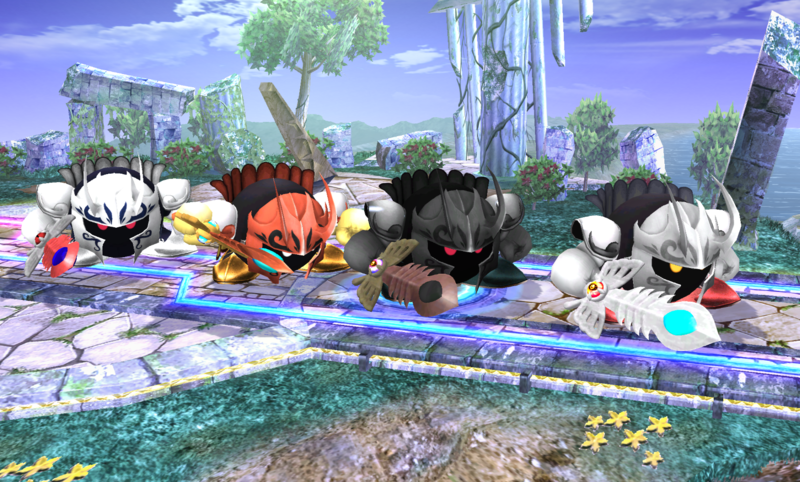 ...or, no longer Meta Knight, since his prototype design took on it's own life. This has been a humongous project with a lot of people getting involved. WindHunter started it off with the model import, Nanobuds made the Brawl-esque texture, Puzzled optimized the model and improved the texture further, ChucklesDemKnuckles and I made a few recolors, Moe made the PM 3.6 render, and, finally, Wumb0 took the screenshots: the very reason this mod is here now. The fact that I'm taking credit for this mod at all is a disservice: I hardly did anything compared to these talented individuals. God bless every single one of them for their efforts. 3rd pic is the history of this mod's development, in relative order. 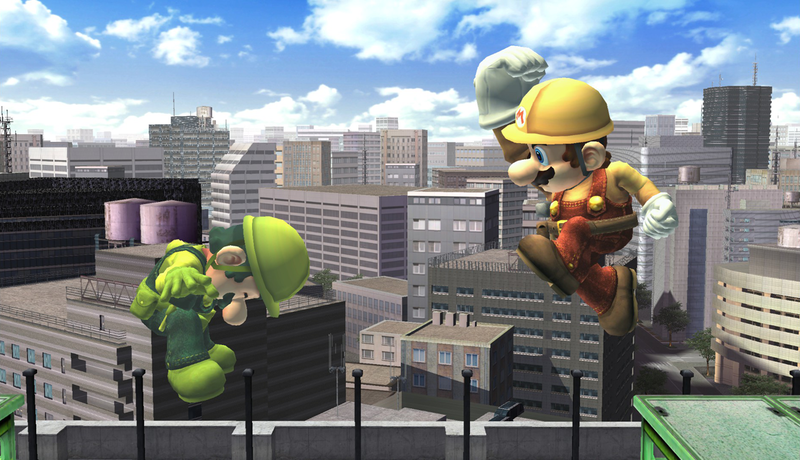 Mario has been a plumber, doctor, platformer, golfer, karter, and now a builder! Use him to build up your four stock games. Intended for PMEX packs that have Dr. Mario as a seperate character, this version has all the assets needed to replace the Dr. Mario alt costume in vPM. Additionally, high poly assets are included for build makers that want their renders to be consistent with other Mario costumes. Red - Mario palette from Super Mario Bros.
Blue - Underground palette from Super Mario Bros.
Special thanks to The Legacy Team for inspiring me to start modding. PictoChat's Secret is a 1-for-1 reskin of Delfino's Secret from PM 3.6. Has the same camera/blast zones/etc. 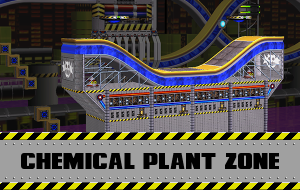 Includes extra background elements based off of Mario Sunshine's secret levels and the general vibe of Brawl's Pictochat stage. Go there for the newer version with updated models and textures, but different recolors and bonus assets. This download will be kept open in case someone else wants that older stuff. 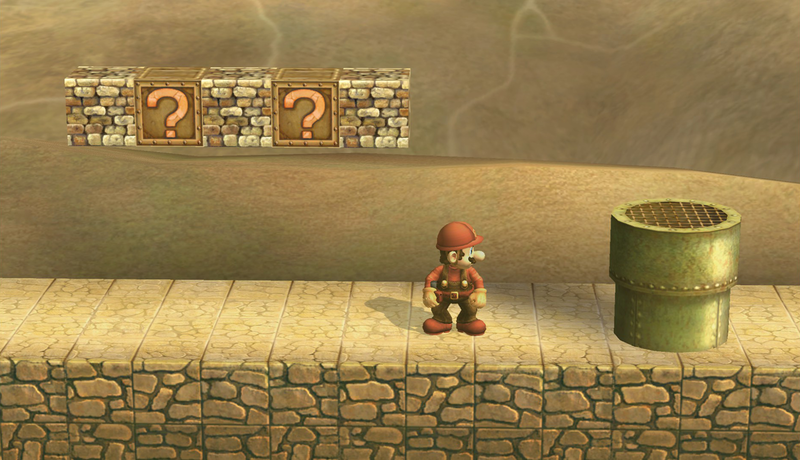 The Builder Mario costume included in Legacy 1.3 has now been finished and even has recolors included. 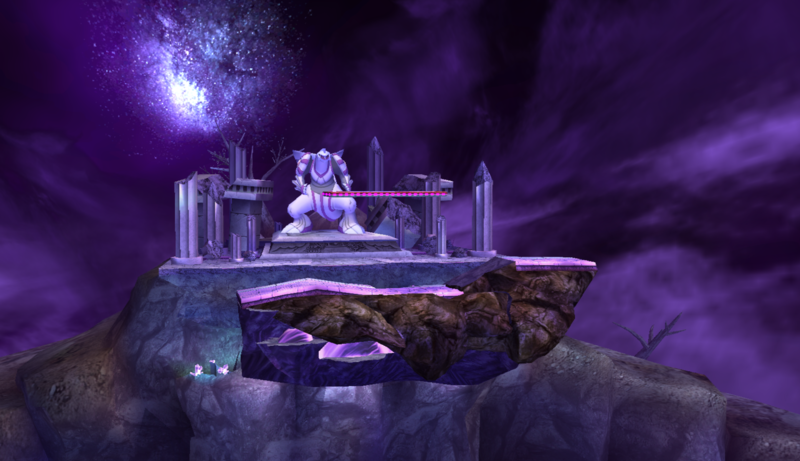 For those who didn't know, before I made this for Legacy, the only other decent versions were in the Melee Remastered and Smash 3C styles. 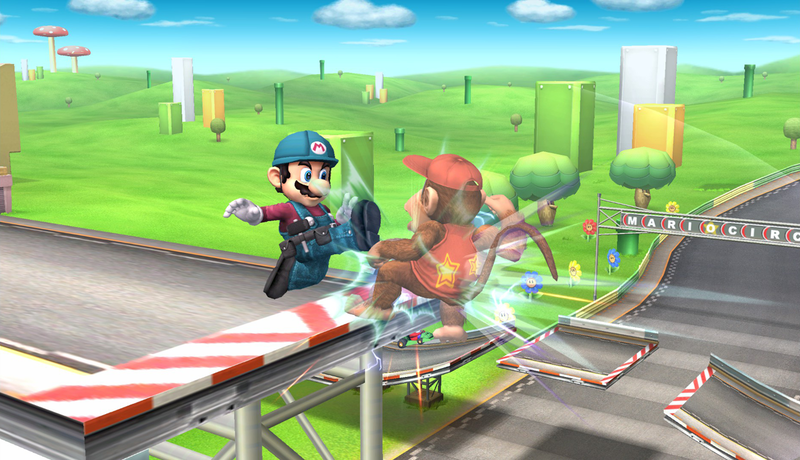 Almost all of the textures have been redone in this version to match Brawl's aesthetic better. • A red costume based on Mario's sprite in the original Super Mario Bros with some colors swapped around. Update 09/09/2017: Updated renders, and recolours for extra racing fun! It's Project M's Mario Kart alt for R.O.B. in Smash 3 style! Includes five extra recolours, including a Famicom recolour! Updated 03/29/2017: Plenty of new colours and another render! In addition there have been multiple small graphic fixes. It's Project M's Ryu-inspired alt for Lucario! He has some fancy new specs, and eleven recolors! Exclamation marks! Page created in 0.198 seconds with 97 queries.